Free and open to the public, snacks will be provided. of experience in the areas of new electronic musical instruments, interactive music and video systems, networked multimedia, robotics and pyrotechnics. He performs and lectures around the world with electronic musical instruments and teaches a wide range of art and technology subjects. 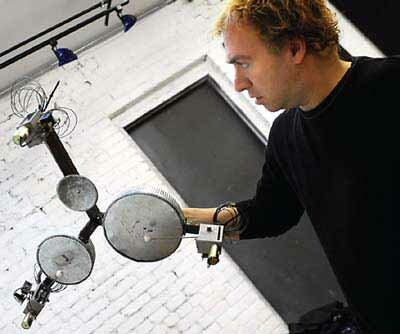 Known internationally for his software and hardware products for interactive art and music creation, Singer considered a leading expert in the use of sensors and robotics in music and art.